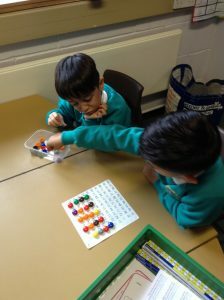 In Year 2, children need to learn their 2x, 5x and 10x tables. They also need to know the corresponding division facts. Practising on Times Tables Rock Stars will help them to do this. This is a science topic in which the children will be learning about different types of materials. They will learn about the types of materials, their properties and why it is important to think about the job something needs to do when we choose the material that it is made from. 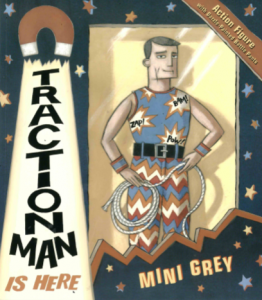 Our shared text for English lessons is Traction Man is Here by Mini Grey. This is a funny story about the adventures of a toy action hero. 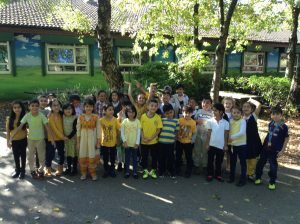 We have been very impressed with children’s progress in reading and many children have changed their book band colour. 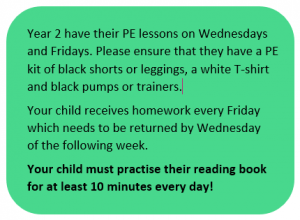 There are many opportunities for your child to practise their reading in class every day. It is vital that your child practises reading at home everyday with a parent or older sibling listening to and guiding them. Please record in their reading record that they have read at home. For children who are reading a longer book, it is expected that they may need to read the book over a few days. 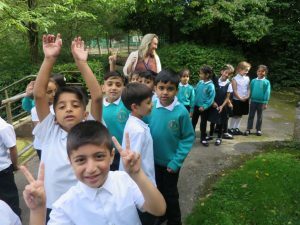 This is always a very busy time of year in school with lots of activities and events. We hope that many parents will be able to attend the Christmas workshop to make a Christmas decoration with their child. I also look forward to meeting parents over the next few weeks so that we can discuss your child’s progress and next steps in learning. Please don’t hesitate to come and speak to us if you have any questions or concerns. Here are some photographs from last half term.